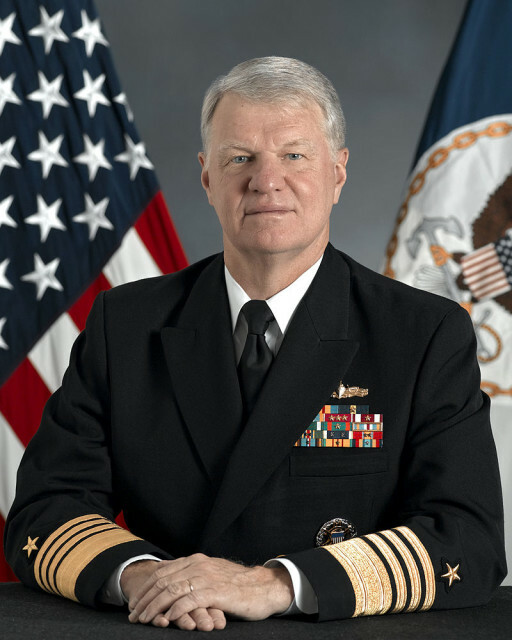 On 11th November 2006, the Commander of the US Navy’s Pacific Fleet at the time, Gary Roughead, made a historic visit to China in a hope of improving the relations between the two countries. His visit was intended to organize a joint military exercise that emphasized the search and rescue role of the Navy and was to take place on 19th of November that year. However, the visit was overshadowed by the incident that occurred during an American naval exercise near the island of Okinawa. On 26th of October, a Chinese Song-Class submarine surfaced within five miles of the USS Kitty Hawk airplane carrier in the Pacific Ocean. Several weeks before the US delegation met with their Chinese counterparts, ships from the Pacific fleet were stationed in international waters between Taiwan and South Japan. The carrier was surrounded by a dozen of ships in a protective formation, but nevertheless, the Chinese sub managed to slip through unnoticed. It came as a surprise that the Americans were unable to detect the lone submarine earlier, for their extensive defense screen included a submarine and anti-submarine helicopters, all responsible for protecting the battle group from an underwater attack. There were a number of theories why the Chinese Navy staged such a provocation. It remained unclear for how long the sub was shadowing the carrier, but this sort of error showed how much the American Navy let its guard down after the Soviet submarines stopped being a threat. After the fall of the Soviet Union, the Navy conducted a plan to de-emphasize their anti-submarine warfare capabilities, since they were convinced that the preeminent submarine threat had been neutralized and that it would take decades for such a threat to re-emerge. 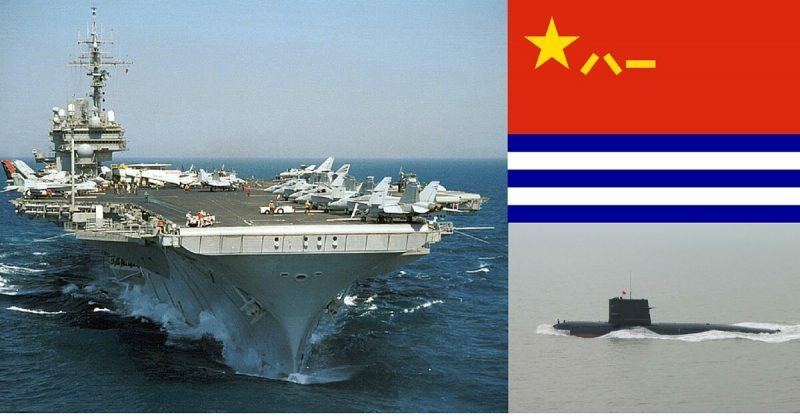 The Chinese military officials dismissed the Washington report that the submarine was following the aircraft carrier, but it seems unlikely that the whole incident was accidental. The sub-detection capabilities of the US Navy showed that they didn’t consider the level of advancement of the Chinese submarine fleet. China has alway been reclusive about its arsenal, so this came as no surprise. Nevertheless, the US underestimated the level of sophistication achieved by the Chinese subs. The incident reminded the two governments of the reason why their relations were so cold in previous years ― in 2001, an American spy plane collided in mid-air with a Chinese jet fighter. The incident occurred 70 miles away from Hainan Island province off the coast of China. The jet pilot died during the collision, and the spy plane crew of 24 men was forced to land at Hainan. There, they were detained by the Chinese until the two countries agreed on terms for their release. Since 2001, relations were strained, until the visit in 2006. Let’s take a look at the hardware that sparked the 2006 incident. The Song-Class submarine is diesel-electric powered. It is the first submarine class developed entirely by China and also the first Chinese submarine to use the modern teardrop hull shape. It uses a German state-of-the-art 396 SE84 diesel engine. Its armament includes Russian-made wake-homing torpedoes and anti-ship cruise missiles. 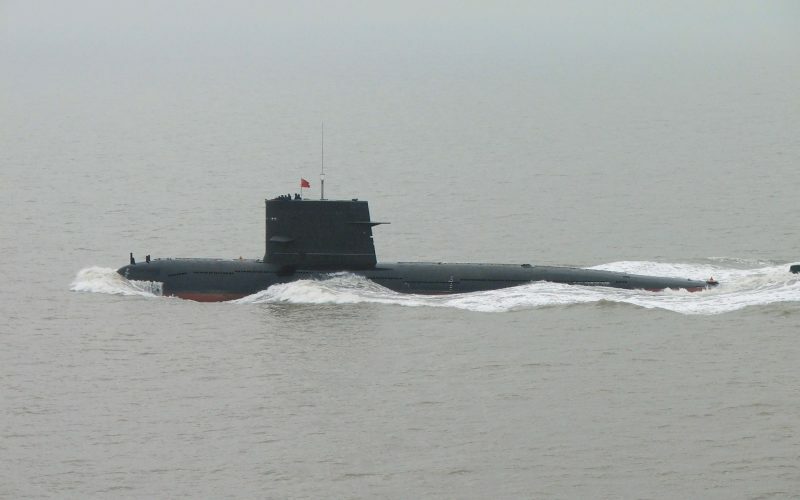 Although China still lags behind with the technology, especially because of the fact that they still haven’t fully developed nuclear-powered submarines, the Song-class submarines, together with the Yuan-class submarines equipped with air-independent propulsion (AIP), could represent a real threat. 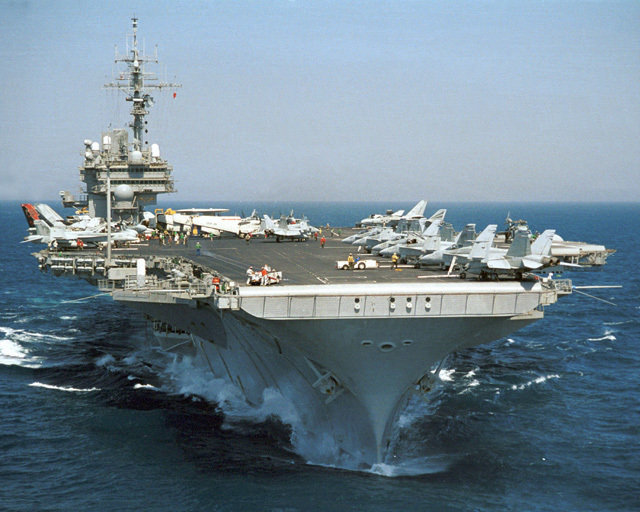 On the other side, USS Kitty Hawk was first put into service in 1961, and it was officially decommissioned in 2009, two years after the incident took place. Nevertheless, the ship represented the pride of the American Navy ― a 1,000ft supercarrier with 4,500 personnel on board. The sub certainly made an impression, and the American commanding officers were obviously embarrassed by their lack of caution. One NATO official called this event “as big a shock as the Russians launching Sputnik,” making a reference to the Sputnik orbiting satellite, which was launched in 1957, marking the beginning of the space age. 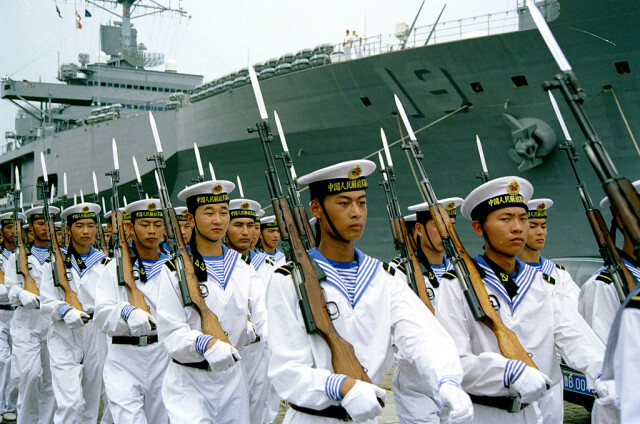 Chinese sailors at the Qingdao, North Sea Fleet headquarters parading within 2000 for a visiting U.S. Navy delegation. Despite the tensions, the naval exercise went on as planned and it was deemed successful by both parties. The South Chinese Sea area remains a subject of dispute to this day. The question of naval superiority in the Pacific is often mentioned, as China had been building up its fleet in the past years. Since 2011, they have started their own aircraft carrier development program, and the first vessel was commissioned in 2012. In 2015, several sources confirmed that China was building a second indigenously designed aircraft carrier. Also, an incident very similar to the one that happened in 2006 was reported on 24th of October, 2015, when a Chinese submarine tailed the nuclear-powered supercarrier USS Ronald Reagan off the coast of Japan. On this occasion, Pacific Fleet and Pacific Command refused to comment the event but didn’t deny that it happened.